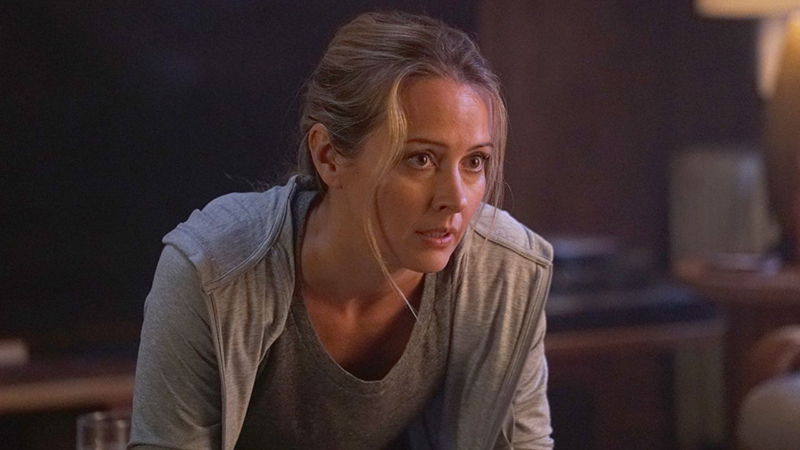 Amy Acker (The Gifted, Angel) has been cast as the late Derek’s Shepherd’s fourth sister in Grey’s Anatomy’s upcoming Season 15, Entertainment Weekly has confirmed. Acker, who is currently starring on Fox’s The Gifted and is best-known for her roles in Angel, Person of Interest, Alias, and Dollhouse, will play Kathleen, a.k.a. Kate, a psychiatrist. The character will be introduced in a Season 15 episode that will revolve around Derek’s other sister, Amelia (Caterina Scorsone). The two other Shepherd sisters, Liz and Nancy, have been played by Neve Campbell and Embeth Davitz, respectively. Next season will be the 15th season of Grey’s Anatomy, which is ABC’s longest-running primetime drama series. Only seven dramas in the history of television have had more seasons. In its 14th season, Grey’s Anatomy is ABC’s No. 1 drama among Adults 18-49, ranking among the Top 5 broadcast series on TV, and is tied with ABC’s The Good Doctor as the No. 2 broadcast drama. Grey’s Anatomy is improving over this point last season by 3% in total viewers to deliver its most-watched season in four years – since the 2013-14 season. Recipient of the 2007 Golden Globe Award for Best Drama Television Series and nominated for multiple Emmys, including Outstanding Drama Series, Grey’s Anatomy is considered one of the great television shows of our time. The high-intensity medical drama follows Meredith Grey and the team of doctors at Grey Sloan Memorial, who are faced with life-or-death decisions on a daily basis. They seek comfort from one another, and, at times, more than just friendship. Together they discover that neither medicine nor relationships can be defined in black and white. Grey’s Anatomy stars Ellen Pompeo as Meredith Grey, Justin Chambers as Alex Karev, Chandra Wilson as Miranda Bailey, James Pickens Jr. as Richard Webber, Kevin McKidd as Owen Hunt, Jesse Williams as Jackson Avery, Caterina Scorsone as Amelia Shepherd, Camilla Luddington as Jo Wilson, Kelly McCreary as Maggie Pierce and Giacomo Gianniotti as Andrew DeLuca. Grey’s Anatomy was created and is executive produced by Shonda Rhimes (Scandal, How to Get Away with Murder). Betsy Beers (Scandal, How to Get Away with Murder), Mark Gordon (Saving Private Ryan), Krista Vernoff (Shameless), William Harper, Zoanne Clack, Debbie Allen and Fred Einesman are executive producers. Grey’s Anatomy is produced by ABC Studios. The post Grey’s Anatomy Season 15 Casts Amy Acker as Derek Shepherd’s Fourth Sister appeared first on ComingSoon.net.